Illinois has a reciprocal tax agreement with four bordering states: Iowa, Kentucky, Michigan, and Wisconsin. It concerns income taxes for those who work in one state but live in another. Residents only pay income taxes to their home state, regardless of where they work. Many states across the U.S. have reciprocal agreements, sometimes called tax reciprocity, with bordering states. Normally, anyone earning income in a particular state must pay taxes to that state. This can result in workers being taxed twice if they actually live somewhere else. For example, if you once lived in a state where you worked (and earned income there) and then worked again in what is now your home state, you'd need to file returns for total income earned in your home state. Some states allow taxpayers to take a credit for income taxes paid to another state, and some states have reciprocal agreements. This means the worker is taxed only in the state where he or she lives. Employers should not withhold local state taxes, but they’re not required to withhold taxes for the state where the worker lives. This can result in workers owing money, instead of receiving a refund, when tax time rolls around. Because of this situation, many workers make voluntary estimated quarterly payments to their own states to be on the safe side. An Illinois resident who works in Iowa, Kentucky, Michigan, or Wisconsin is only required to pay income tax to Illinois. These bordering states do not tax the wages of Illinois residents working in their jurisdictions. You're entitled to a refund if you're an Illinois resident and have had taxes withheld from your paycheck for any of these four bordering states. You cannot, however, take a credit for taxes withheld from these states on your Illinois return. 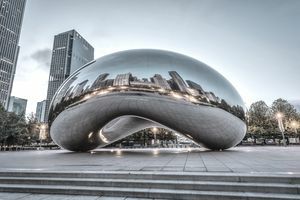 You are not subject to Illinois income tax on wages, salaries, tips, or commissions received from employers in Illinois if you are a resident of Iowa, Kentucky, Michigan, or Wisconsin. However, this does not apply to any other income received in Illinois, such as lottery winnings. If you had Illinois tax withheld from your paycheck, you can claim a refund by filing an Illinois tax return ​Form IL-1040 and Schedule NR for nonresidents. NOTE: State laws are subject to change, and the above information may not reflect the most recent changes. Please check with the taxing authority of the state where you work to ensure that a reciprocal agreement is still in place between that state and your home state. The information contained in this article is not intended as tax advice, and it is not a substitute for tax advice.